So it’s time to get back in the saddle, as the saying goes, and do some w r i t i n g again! 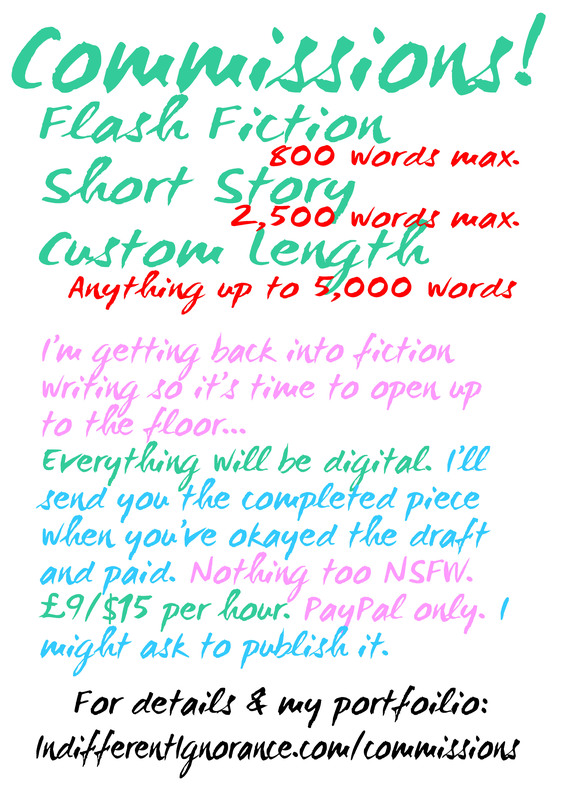 As I mentioned in last week’s stupendous audioblog, I’ve done a some commissions already so now it’s time to expand and do stuff through PayPal (it’s legit, I checked). All the information you need should be here but if you have any questions please let me know ASAP so I can update everything!